So when it comes to style and fashion, I’m very girlie. I’m more comfortable in pretty clothes, with a feminine flare than in something that’s a bit hit-and-miss or something that’s only going to be fashionable for a brief period of time. I like my clothes, shoes and accessories to be classic and elegant – timeless even. Obviously my wardrobe is still majorly impacted by current trends and I do give in and splurge on the latest shapes and patterns from time to time, but my overall style is more consistent. And that’s what I look for in the brands that I class as staples in my wardrobe: timeless elegance, and pure class. So when it comes to footwear, more specifically to trainers or sneakers – how does that fit in? Can you actually combine ‘casual’ footwear with an Audrey Hepburn fashion mentality? Well, you can if you’re a Keds Girl like me. I first started wearing Keds about ten years ago. I liked their simple plimsole style that wasn’t overcrowded with details, it’s simplicity in design meant they would go with any outfit – both on casual and chick days. My first ever pair were the classic white Champion Originals because they just looked the business. They said “I’m cool and classy, without trying too hard” and ever since then I’ve been smitten – and my wardrobe hasn’t been without it’s trademark pair since. They don’t ever go out of style because their design, shape and wearability is something that means even though I’m now 28, I don’t feel too old to wear them. Unlike other similar brands. They also have this amazing knack of being able to finish off my outfits perfectly. 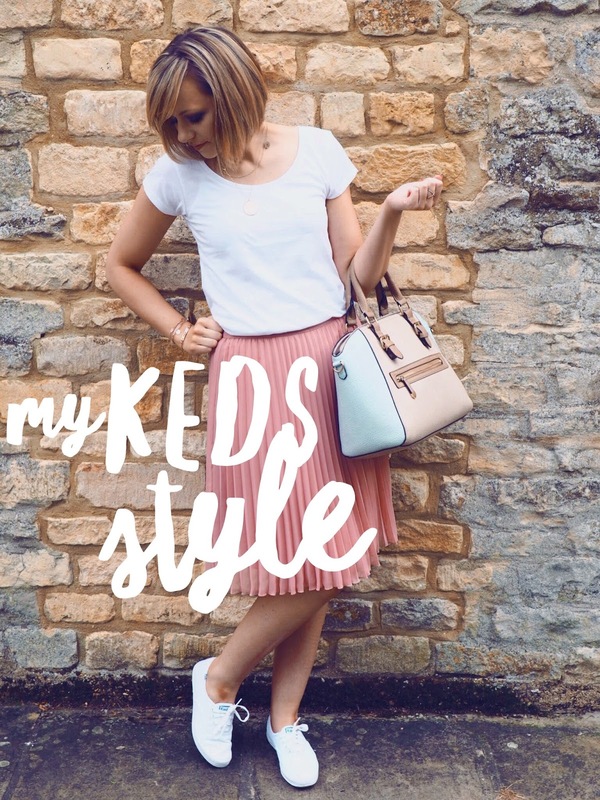 Whether it’s a plain jeans and white tee kinda day, or a full on girlie dress with lots of cute jewellery – my Keds have become my old trusty’s when it comes to styling. They go with everything and that’s why I love them. And I take it as a personal challenge when it comes to my everyday girlie style! How can I wear my Keds to rock this outfit? As you can see, there’s nothing about this look that prevents the chick vibe coming through. Why should shoes that don’t have a heel stop an outfit being classed as pure girlie? I love the almost 50’s vibe that wearing my Keds gives to this outfit and it’s one of my weekend favourites. 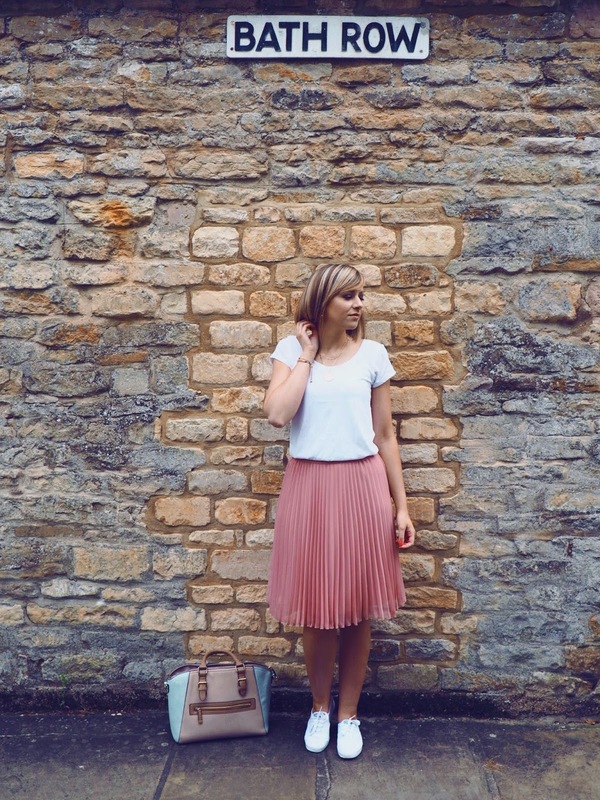 Tulle pleated skirts are big this summer, so naturally I’ve got three! The catwalk images and the magazine photoshoots all show them teamed nicely with cute heels, scrappy sandals or wedges: but I love wearing mine with my Champion Originals. Walking around having these photo’s taken, I was reminded of The Pink Ladies in Grease (one of my all time favourite films!) and suddenly felt like Sandy herself (minus the ability to sing, or look that good as a blonde – yes, I tried it once!) 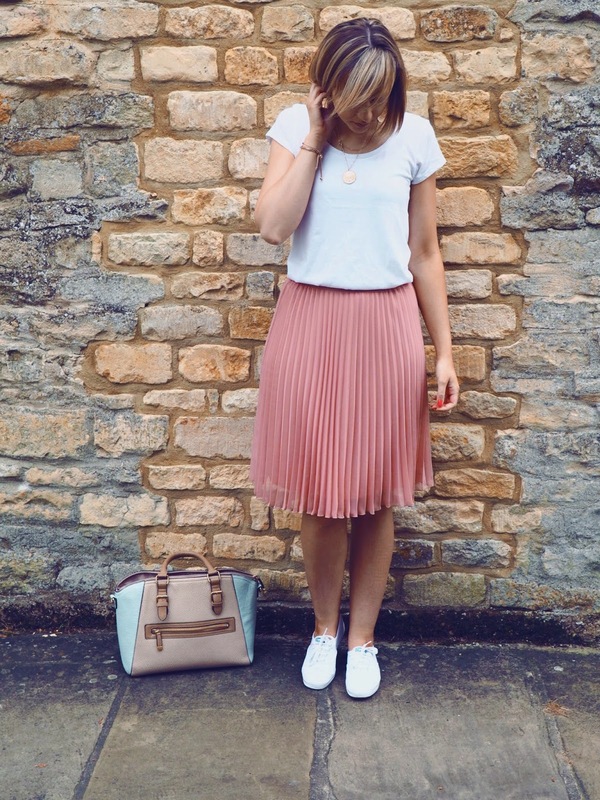 Which is what a tulle midi skirt and Keds does to a girl! What’s more is that rocking the 50’s Chick, Pink Ladies and totally Girlie-Girl look, with Keds doesn’t have to break the bank. I’m a big fan of using one key piece to pull an outfit together, which also means I like to buy budget/bargain clothes and then focus on one more focal point of the outfit – in this case the Keds. So Keds can help take an inexpensive outfit from budget to babe, which I absolutely love. Plus they add a hint of classic elegance that you’d usually look for in statement heels – but I love that flats can offer the same level of sophistication with a hint of retro thrown in for good measure. I can’t wait to get my hands on a few more pairs of Keds for my trip to New York this summer, who knows I may even bring you a whole Keds and New York lookbook! But considering Keds have ranges by Taylor Swift, and Kate Spade, among many others, it just goes to show that the Girlie Girls really can rock the Keds look too. And on that note, here’s some of my Keds Wish List, featuring styles from both of those ranges, plus the Spring Range as well as some of my all time favourites – the Champion Originals. What’s on your Keds Wish List?